With the freedom to decide "Credit" or "Debit" at the time of checkout, you can easily manage your cash flow and household budget. 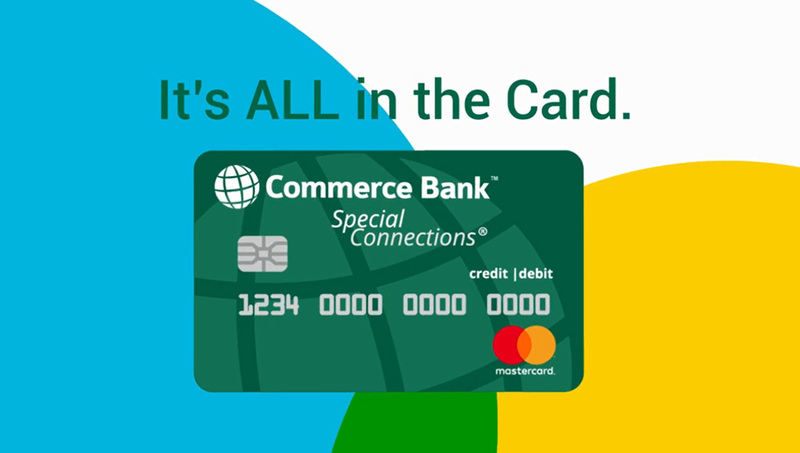 The Special ConnectionsSM feature offers you the freedom to use your Commerce Bank credit card for both credit and debit purchases, and to conveniently access your other Commerce accounts at the ATM. Your credit card now has a "Credit/Debit" identifier to show it has the Special ConnectionsSM feature. 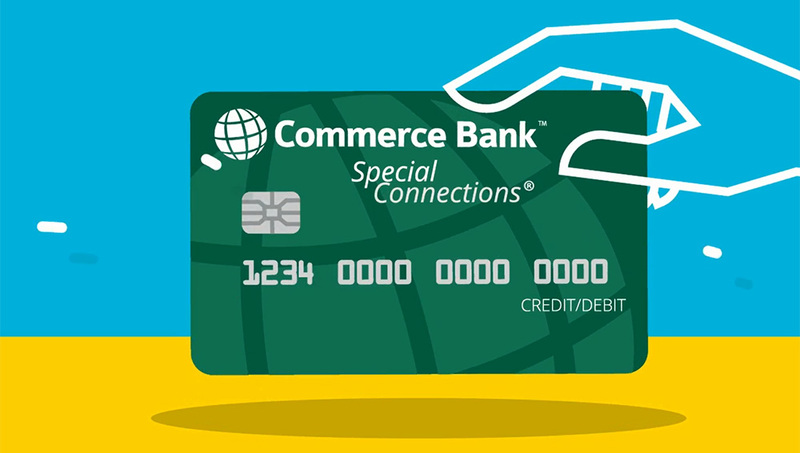 To use the Special ConnectionsSM feature, simply connect your designated Commerce checking account to your credit card by logging in to Online Banking. Please see the "Sign Up for Special Connections" icon in Online Banking. Remember to use your credit card PIN when using your credit card at an ATM or if prompted when checking out at a store. Forgot your credit card PIN or don’t have one? We have you covered. Simply call 1-800-453-2265 and press 1 for self-service options. 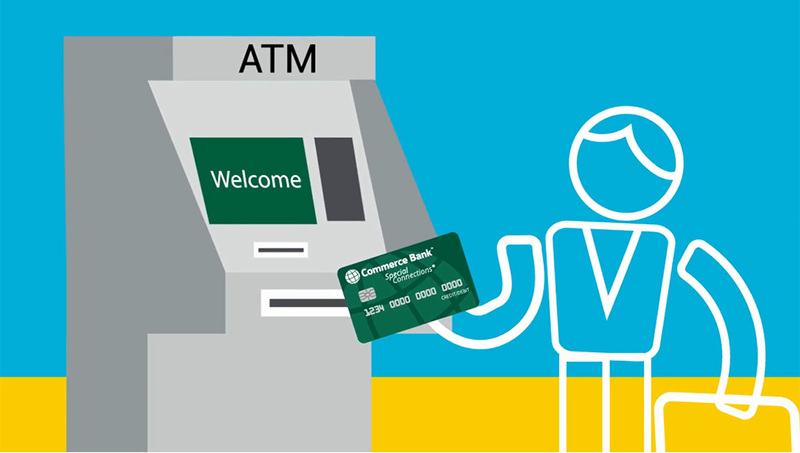 Commerce Bank is the first in the United States to provide this technology at chip terminals. While we are proud of this, it means your experience may vary as each retailer chooses how their checkout terminal interacts with the Special ConnectionsSM feature. Most retailers will give you both a Credit and Debit option so you can freely choose how you want to pay for your purchase. Some retailers only give you the option of Credit. After all, this is a credit card! But you won’t be able to pay from your checking account or get cash back. Some retailers may only give you the option to pay with Debit, meaning the purchase will be paid out of your checking account. Always take a backup form of payment in case you don’t want to pay this way. Here is a list of retailers that only give you the option to pay with Debit. Refer back to this list as we continue to update it. 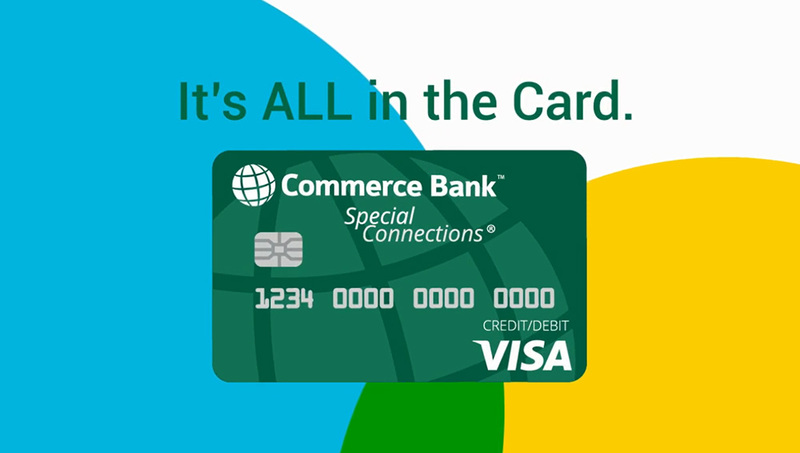 If your card is not set up to use the Special ConnectionsSM feature at chip terminals, please contact us at 1-800-645-2103.